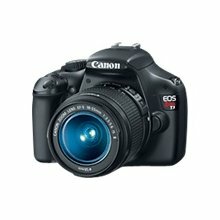 What camera should I buy? is one of the most frequent questions I’m asked. To be frank it’s a bit like asking someone ‘what car should I buy?’ or how long is a piece of string? As a general rule I suggest that if you already have (or can borrow) a reasonable digital camera with manual settings then bring that and buy a camera after the workshop. Part of the workshop is about what camera you should think of investing in. There’s no point my suggesting any particular cameras because there are so many out there and things are moving so fast but I can give a few pointers. A point and shoot is like an artist’s sketch book and you should take it everywhere with you. Whether it’s your only camera or a back-up I think it’s worth getting a good one. The best point and shoots have manual settings and Raw. Apart from anything else, Raw means that you don’t have to be so precise at the moment of taking the picture as it’s much more forgiving. They all also have zoom lenses and low f numbers (usually from 1.8 – 2.8) so they’re ideal for shooting in low light conditions. They often have video as well, even HD! Their major advantage – apart from price – is that they are discreet and therefore ideal for documentary photography and carrying about with you everywhere. They usually have swing tilt display screens. 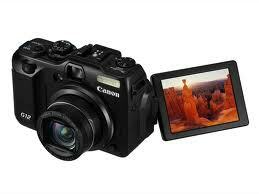 They are also ideal as a back up for when you buy an SLR camera. Just having a point and shoot on you may mean the difference between getting a picture and not getting anything at all. Personally, I’m a great believer in sophisticated point and shoots! What’s more the point and shoot will accept some of the accessories of its bigger brothers like, flash, batteries etc so it’s worth keeping all your kit in the same family. If you get a good point and shoot which will cost around €400 new, then if you go down the DSLR road later on the point-and-shoot will still be useful to slip into your pocket, or carry with you as a back-up, or just to use for its video capability. SLR cameras – the D just stands for digital and nobody makes 35mm film SLR cameras any more – stands for single lens reflex. The camera has a pentaprism and a mirror, the design has been around since the 1950s. The SLR broadly falls into 3 groups, medium format like Hasselblad (forget about them unless you want spend as much as you would on a new car); the full frame SLR which has a sensor the same size as 35mm film (24 x 36mm) – professional and semi-professional cameras with a hefty price tag unless you buy used; smaller sized SLRs with a smaller sensor usually around 15 x 22mm – there are a bewildering variety of these cameras made for the amateur market. Things in this category change very fast, so shop around and also look out for used cameras as people are always upgrading and sticking their old version on ebay or handing it into a dealer in part exchange. The SLR allows for interchangeable lenses but every time you change a lens dust will get into the camera. So a word about interchangeable lenses. SLRs (single lens reflex) and some sophisticated point and shoots allow you to change lenses – obviously a good thing BUT when you change a lens dust gets in and this can end up on the sensor. Film was always moving from one frame to the next so dust wasn’t a problem, but the sensor picks up dust and dust is a pain. 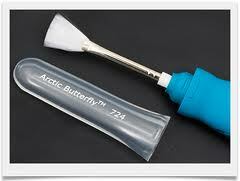 Some cameras have built-in sensor cleaners like my Canon 5D but this doesn’t always work well and then you’ll have to either go to your friendly neighbourhood dealer and have him clean it or buy one of these, the Arctic Butterfly. Beware! Cleaning the sensor can drag grease from the mirror mechanism onto the sensor, woe! Then you’ll have to buy their swabs and cleaning solution. With this in mind it’s a good plan to buy a comprehensive zoom (I would avoid the cheap 18-55 zoom which often comes bundled with the camera – you’ll end up buying another longer lens and you’ll be constantly be taking them on and off) – one that goes from wide angle to telephoto such as 24-105mm or even 18-135mm which will cover most exigencies. Later on you can add other lenses that you won’t perhaps use so often like a 70-300 zoom, a wide angle prime such as an 18mm f2.8 or a 50mm f1.4, a macro lens etc. In other words a 24mm lens won’t be such wide angle any more, it will be the equivalent of a 35mm lens, at the other end 105mm will be the equivalent of a 135 mm lens. Small sensor means high depth of field, this means that if you wish to push things out of focus – one of the photographer’s creative tools after all is low depth of field in portraiture especially – then this is going to be tricky with a budget price SLR. Also small sensors have higher noise levels at high ISO than full frame SLRs. Build quality is also better with the full frame. High depth of field can however be a good thing – you don’t have to worry about focus so much. A much cheaper alternative is to buy a hybrid camera – there are stacks of them out there. They are small and light (there is no heavy penta-prism as in the SLR) and silent (no mirror banging) …and cheap for what you get. A drawback is that the aperture setting doesn’t go beyond f8.